This story has been updated from its original version. Please see correction at end of story for update. Four community nonprofits recently benefited from the dissolution of the former Fitness and Recreation Association, more widely recognized as FARA. 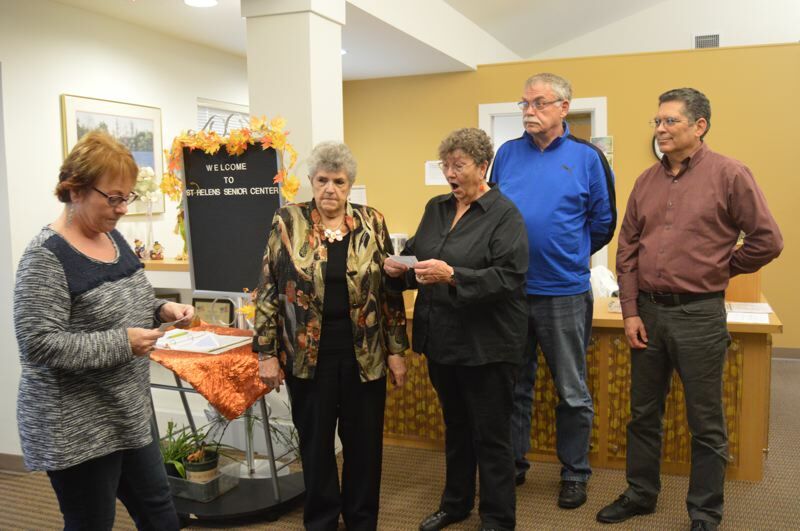 Janis Walters and Tracie Murray, former FARA operators, presented leaders from the Columbia Pacific Food Bank, United Way of Columbia County, Community Action Team and the St. Helens Senior Center each with checks ranging from $10,000 to $20,000on Wednesday, Oct. 31. In the 1980s, the Boise paper mill opened FARA as a place for employees to work out and enjoy recreational activities. When the mill shut down in 2008, FARA opened its doors to the community at large and continued to operate as a nonprofit gym. Earlier this year, however, the city of St. Helens, which obtained ownership of the property when it bought the Boise site in 2014, expressed its intent to use the building for a newly formed recreation program. When the board of directors made the decision to dissolve FARA after having conversations with the city to close down the gym, Walters and Murray, who had been running the facility, worked to sell off the equipment inside. Proceeds from those sales were then deposited into the FARA bank account, and the board of directors chose to donate the funds to local charities, Murray and Walters explained. "Although we are saddened by the closure of the facility, we are honored to be able to help our local community through these donations, and look forward to the future recreation programs offered by the City at our former facility," a statement from FARA reads. On Wednesday afternoon, Walters and Murray requested that Casey Wheeler of the food bank, Marvel Brown of the St. Helens Senior Center, Kathye Beck of United Way and Dan Brown of CAT, all gather at the St. Helens Senior Center to receive their donations. None of the representatives had any idea how much would be donated. Beck was visibly shocked when she was presented a check for $20,000. "This is just fantastic," Beck said. The food bank also received $20,000, while the St. Helens Senior Center received $16,000 for its home delivery meal program and CAT received $10,000 to be used for the warming center. Editor's note: This story has been updated to correct the spelling of Marvel Brown of the St. Helens Senior Center. The Spotlight regrets the error.